Local Director Roger Hardwick MRICS is a Member of the Royal Institution of Chartered Surveyors. He heads Right Surveyors Cumbria / Lancs Ltd, an independent professional property consultancy covering Lancashire and Cumbria, from Blackpool all the way up to Carlisle. Roger always strives to provide an efficient and personal service tailored to his clients’ needs. 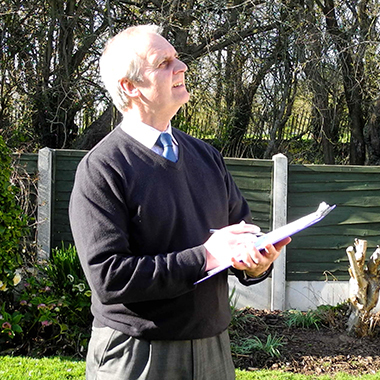 Roger is an experienced and qualified Chartered Surveyor with a diverse range of skills. He has worked in the profession for 30 years and is competent to survey and value both residential and commercial property and assets. With building surveys to suit every property and budget and our dedicated team’s extensive knowledge of Cumbria and Lancashire, we can provide comprehensive, quality advice you can trust. We will help guide you all the way through your property purchase, getting to know you and the property on an individual level. There are a number of building assessments possible and a full description of each can be found by clicking on the links below. To better select the most appropriate service, we do advise speaking to the Chartered Surveyor who knows the area well and can discuss your individual requirements. If you need a surveyor in the beautiful lake district or elsewhere in Cumbria or Lancashire, don’t hesitate to call our team for a no obligations chat about how we can help. You can freephone 0800 880 6024 or call 01257 678679 for a local rate from mobiles. Alternatively, email roger.hardwick@rightsurveyors.co.uk where Roger or one of his team will aim to get back to you the same day. Roger works hard to ensure that each client is left happy and satisfied, so please, leave your comments and let him know how he did. Thank you so much to you & Roger for getting this done so swiftly. I believe we will be able to exchange contracts this friday and complete next week. It was really helpful that you could be so flexible today. A quick mail to thank you for carrying out my survey. The overall package of the depth of the survey, the narrative report, both by mail and written, backed up by photos was excellent. It’s not often I say this, but money well spent. Through Roger’s valuation I was able to negotiate a slight reduction in purchase price which all helps. My daughter is currently entering the housing market and when it comes to buying I will be heartily recommending your Company.